MIAMI - Oct. 31, 2017 - PRLog -- Professional caring clown and children's writer, Lisabeth Reynolds, has burst on to the literary scene with her first adult novel, The Purple Bowtie. A far cry from Lisabeth's children's stories about the animals of the Amazon, The Purple Bowtie is every inch an adult novel; an incredible love story that hits both the highs and lows of passion and tragedy. The Purple Bowtie is based on a true story and touches on the lives of some of the key figures in the fight for creative and sexual freedom and equality; a fight that took a sinister turn as AIDS devastated the gay communities of the 1980's. "I read the opening chapter and knew I had something special," says Dan Grubb from Fantastic Books Publishing. "The Purple Bowtie is well researched and written from the heart with a fast-paced and poignant story." Protagonist Lisa Robertson's life is transformed not only by finding love in the present but by influences from the past. The notorious gay salons of 1920's Paris rush to meet Lisa and her lover, Rachel, as they explore the French capital and themselves in an intense quest for truth. The tragic Dolly Wilde, not so well remembered as her famous Uncle Oscar, joins the cast of The Purple Bowtie, along with others who were once household names synonymous with scandal and intrigue. Natalie Barney, Romaine Brooks, Liane De Pougy and others come back to life through Lisa and Rachel's explorations. Figures from their own present in the 1980's are equally influential, notably courageous activists such as Dan Bradley who worked tirelessly for justice. Bradley himself came out as gay, swapping a flourishing political career in President Carter's White House for an LGBT lobbying law practice. This all seems a far cry from the author's current work as entertainer, Lizzie the Clown. "Not as much as you think," Lisabeth tells me. "The book is about the human condition; about caring for people; about enhancing lives through creative expression. And that is exactly what Lizzie the Clown's work is all about." I ask Lisabeth how she came to be a clown. "It was born of a desire to study the imagination," she tells me, going on to talk about her time at Clown Camp at the University of Wisconsin and the Priscilla Mooseberger clown arts program in Minnesota where she donned her clown persona to entertain at children's parties, and also to work with challenged children and Alzheimer's patients. Hearing her talk, it becomes clear that to Lisabeth, The Purple Bowtie is not just a gripping story of passion, enlightenment and tragedy but fulfils a need within her to chronicle the history of the LGBTQ community, its double lives, fears and conflicts, and also its rage over the huge loss of life that occurred before the political establishment would confront the reality of the AIDS epidemic. Lisabeth presents The Purple Bowtie to the world at the Miami International Book Fair this November where she will be on Writers' Row on Saturday 18th November. Find out more about The Purple Bowtie at getbook.at/PurpleBowtie where from November 3rd through November 10th it will be featured on the Amazon Kindle Countdown deal. Originally from Schenectady, New York, Lisabeth worked in radio broadcasting in Miami for fourteen years, then spent a decade as a freelance copywriter and publicist receiving a prestigious advertising award, an Addy, for her copywriting. She lives with her wife, Jeanne, in Florida. 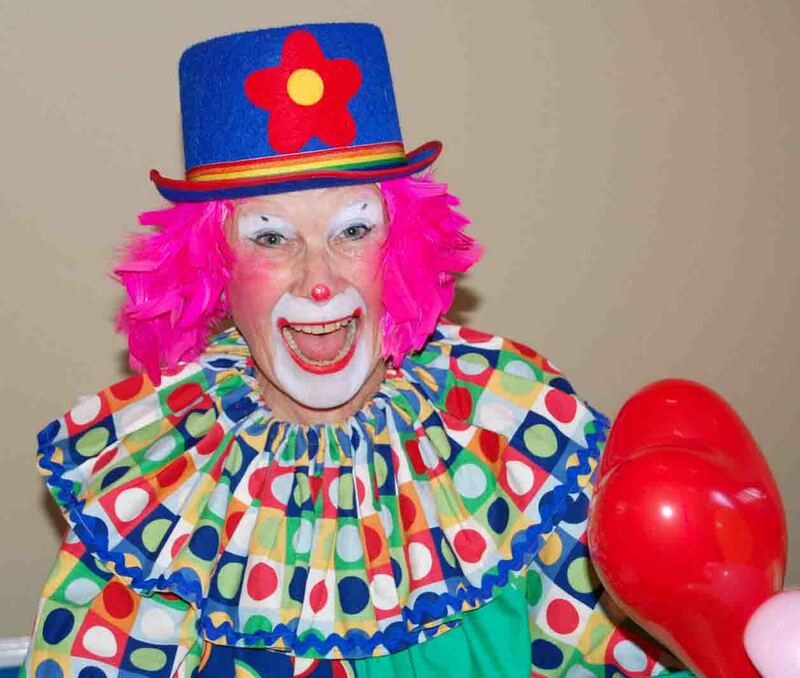 Now a professional caring clown, Lisabeth lectures and entertains in senior residences and rehabilitation centers across South Florida. Her work as Lizzie Love the Clown has been featured in The Miami Herald and The Sun Sentinel. She is a "Rock Star" according to some of her dedicated seniors. Local Author's Cake Stakes are Stacked High! Is this futurology rather than fiction?